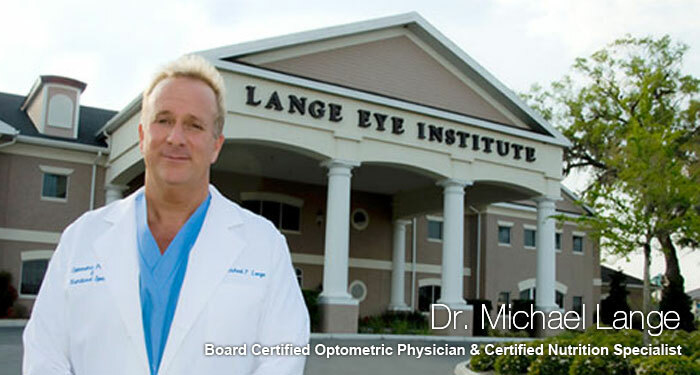 Dr. Michael Lange is a Board Certified Optometric Physician and a Certified Nutrition Specialist who started Lange Eye Care and Associates in Ocala, Florida, in March 1993. Lange Eye Care opened 13 locations throughout the state of Florida with three surgery centers. The Lange Eye Institute at The Villages in central Florida is home base for many of the nutritional studies that inspired the Fortifeye Brand of vitamin supplements. Dr. Lange is one of the first doctors in the industry to utilize intracellular blood tests and blood absorption studies to improve the Fortifeye vitamin line. Dr. Lange travels the world for nutritional research gathering valuable information to continuously improve Fortifeye vitamin formulations and the Paleo Simplified Brand . Dr. Michael Lange is still involved in the clinical practice of eyecare. He is a guest lecturer, contributing author to many eyecare magazines, and a daily syndicated talk show host of ‘Ask The Doctor’ which broadcasts almost daily on a variety of radio stations and net works, throughout the country and video streaming all over the world via the Internet. Detailed information on the nutritional research Dr. Lange has been involved in, and the eye vitamins and whole body formulas he has formulated, are here at www.Fortifeye.com. If you are looking for a great group of eye doctors in Florida go to www.LangeEyeCare.com.